The flop is K-5-K, there's a Jack on the turn when I show up, and I see Devin Jackson make it 175,000, with Andreas Kniep coming along. 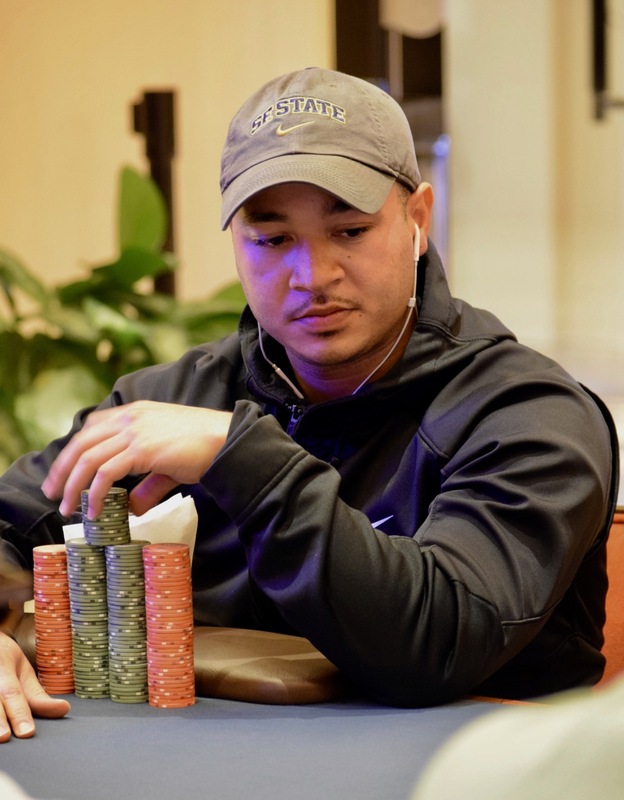 The turn is a Ten, Kniep locked in on Jackson, who takes his time counting out chips for a 475,000 bet. the chips come out in a single stack, Kniep asks for a count, then calls as soon as he hears the number. Jackson shows King_Ten for flopped trips that went Boat Don't Lie. Kniep flips up pocket Aces, pays off the bet and loses half his stack. Jackson is to about 5 million now of the 15 million in play.